How time flies, the Chinese 2019 Pig New Year is here. Thank you for continuously supporting WTS products and being an important part of our success. We really appreciate your partnership and are sure that together we can obtain great achievements in the future. We are ready to sincerely cooperate with you hand in hand for a glorious future! We wish you, your family and your friends, and happiness, prosperity in Chinese 2019 Pig New Year ! Try WTS optics UV-VIS-IR optics solution, save your time and cost. WTS would close from Feb 2nd to 11th for the Chinese New Year holiday. 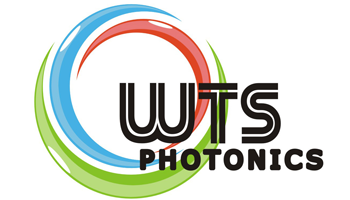 FUZHOU WTS PHOTONICS TECHNOLOGY CO., LTD is one high technology company which devotes to the R&D, production and sales of precision optical components. WTS main products include optical windows, lenses, cylindrical lenses, assembly lenses, filters, mirrors, prisms, beamsplitters etc.optical components. They are widely used in precise instruments, micro measurement system, medical devices, automatic equipment, laser devices, military equipment and other areas. WTS mission is quality first, integrity-based, focusing on the process, valuing the result and making customers satisfied. WTS are certified with ISO 9001:2015, ISO 14001:2015 and OHSAS 18001:2007 etc.